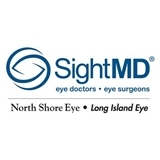 SightMD (formerly North Shore Eye Care) (Smithtown) - Book Appointment Online! At SightMD (formerly North Shore Eye Care), our doctors and staff are committed to providing our patients with compassionate, personal care. We'll take the time to answer all of your questions, keeping you informed, confident, and comfortable. From the moment you walk through our doors, our goal is to provide you with the best possible eye care and personal attention. Your North Shore Eye Care board-certified surgeon will personally provide all care, including pre- and post-procedure exams. If it's more convenient for you, we welcome evening and Saturday appointments. Great doctor . Highly recommend.